You are standing in a springtime garden. As you slowly turn, sunshine blazes on a riot of colors in every direction. Lush beds of tulips, daffodils and azaleas surround you. For eight weeks each year, you can find yourself among seven million tulips on seventy-nine manicured acres at Keukenhof. You probably won’t find Keukenhof in your spell-checker but you will find it less than an hour’s drive outside of Amsterdam in Lisse, South Holland, Netherlands. Keukenkof, which means “Kitchen Courtyard” in Dutch, was originally part of Teylingen Castle, and the wooded land provided food and game as far back as the 15th century. In 1857, the castle garden was transformed into an English style park. The very first flower bulb exhibition was held here in 1949, and it has been an annual event ever since. According to our tour guide, there are only three full time gardeners at Keukenhof. The rest of the work force is comprised of students of floral architecture. Tulip bulbs are planted in October, and then the long wait begins. In addition to the exterior gardens, there are a number of indoor pavilion halls where nearly 100 growers and exporters showcase their best plants and flowers. While redesigned every year, the gently rolling grounds exhibit seven themed gardens. Here, you can stroll through an English landscape, then a Japanese country garden, then a modern spring meadow. Keukenhof is located among the bulb growing fields of the Bollenstreek region, and if you are lucky enough to time things correctly, you can extend your day trip beyond the gardens into the surrounding countryside. It is important to note that these are bulb growers and not flower growers. This means that as fields reach the peak of their bloom, flowers are cut off and discarded so that more energy goes into the bulb’s growth. Until this happens, the long, straight rows of blooming tulips are a sight not to be missed. For tulips, timing is everything. 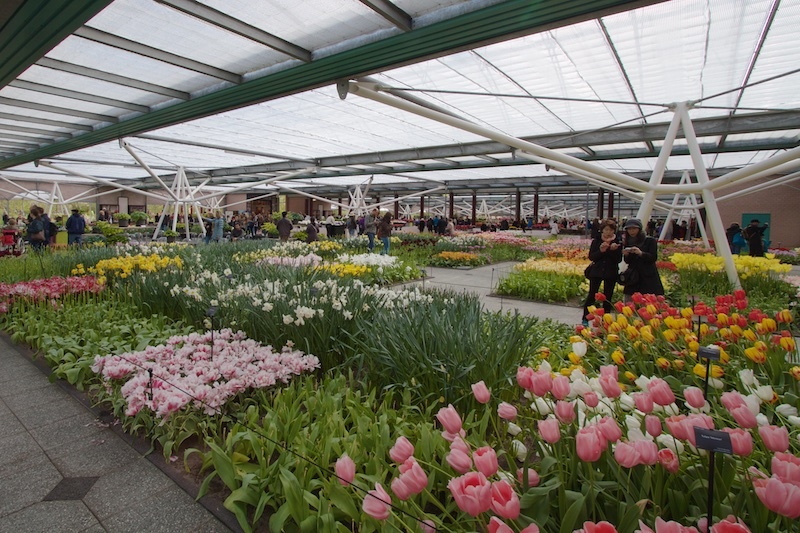 During its two month celebration of flowering bulbs, Keukenkof is open every day from 8:00 A.M. to 7:30 P.M. Typically, the best time to visit is mid-April but that can vary depending on the weather of the preceding winter. In 2013, a very cold winter season resulted in tightly clenched flowers until May. 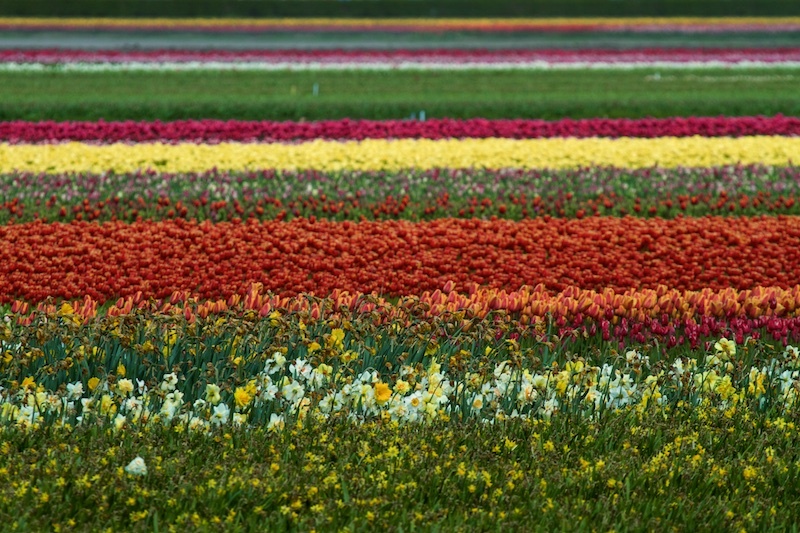 In 2014, it was North America’s turn for a very cold winter, and tulips in Holland performed right on schedule. For 2015, the garden will open for the 66th time on March 20 and remain open until May 17. Working with the Van Gogh and the Kröller-Müller museums, Keukenhof’s theme for 2015 will mark the 125th anniversary of this great artist’s death. We visited the gardens on a day trip from Amsterdam, but you can also book reasonable accommodations close by. There are two hotels and a number of small B&Bs to pick from. This can be a serious advantage to photographers, as we were only able to cover half the grounds in 2.5 hours we were allotted on the tour. You can find information for planning your visit at http://www.keukenhof.nl/en/. The garden has a limited number of wheelchairs that are provided for free, and mobility scooters that can be rented for the day. Both can be reserved in advance. Amsterdam is an amazing, vibrant city, and worthy of at least a week of your time. There are a number of top properties that will make a wonderful home base for your adventure. You can pick from luxury purveyors in historic locations such as the NH Grand Hotel Krasnapolsky, the Waldorf Astoria Amsterdam or Intercontinental’s Amstel Amsterdam. Luxe offerings can be had at newer properties like Sofitel Legend’s The Grand Amsterdam or The Grand Hotel Amrath, which repurposed a landmark building. The preferred mode of transportation in Amsterdam is by bicycle, but be warned, this is not for the faint of heart. Bicyclists are fast, numerous and impatient of tourists. Our guide, noting that the bike lanes are brightly painted, said that they are “red from the blood of tourists that didn’t get out of the way.” Bicycles have the right-of-way over vehicles and pedestrians alike. An amazing sight is the multi-floored parking garage next to the train station that is just for bicycles. 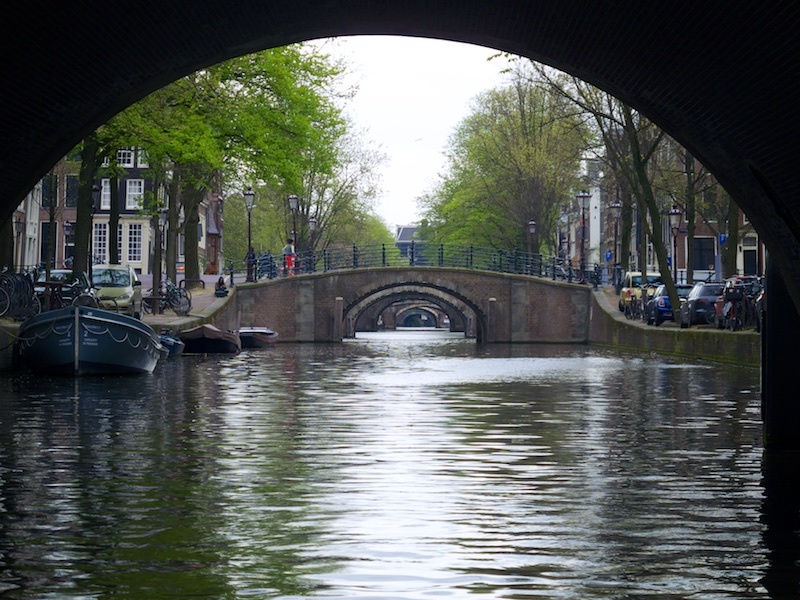 Public transportation is a convenient way to get between the far corners of this bustling city, but at least one canal boat tour should be on your to-do list. 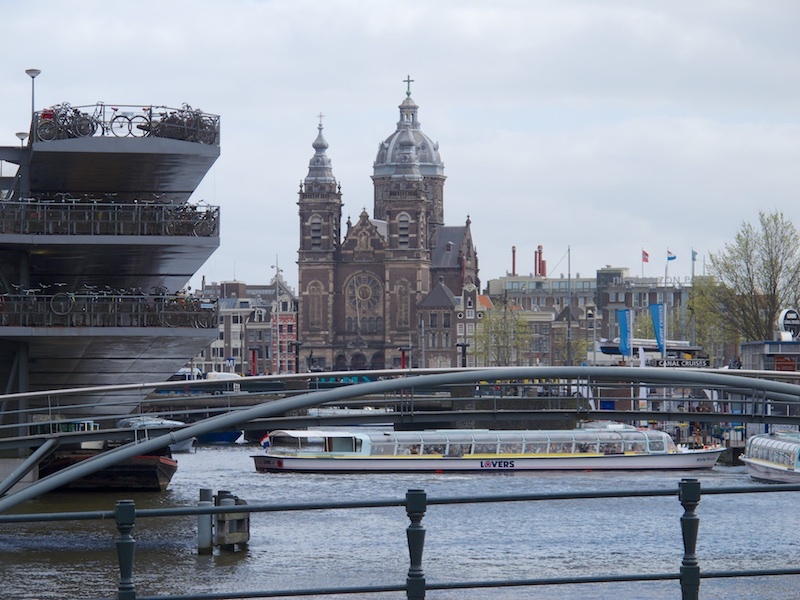 We sailed from a dock near Central Station, but decided to leave our cruise at the Anne Frank House Museum rather than make the return loop and walk around from there. One should not travel to Amsterdam without allocating a significant amount of time to visiting their world-class museums. To my mind, the place of honor, on a very elite list of museums, goes to the Rijksmuseum. This is the Netherlands’ national museum of art and history, with the works of artists such as Rembrandt, Johannes Vermeer and Vincent van Gogh lovingly displayed. It is important to obtain your tickets online in advance at https://www.rijksmuseum.nl/en. This is especially important during peak tourism months. 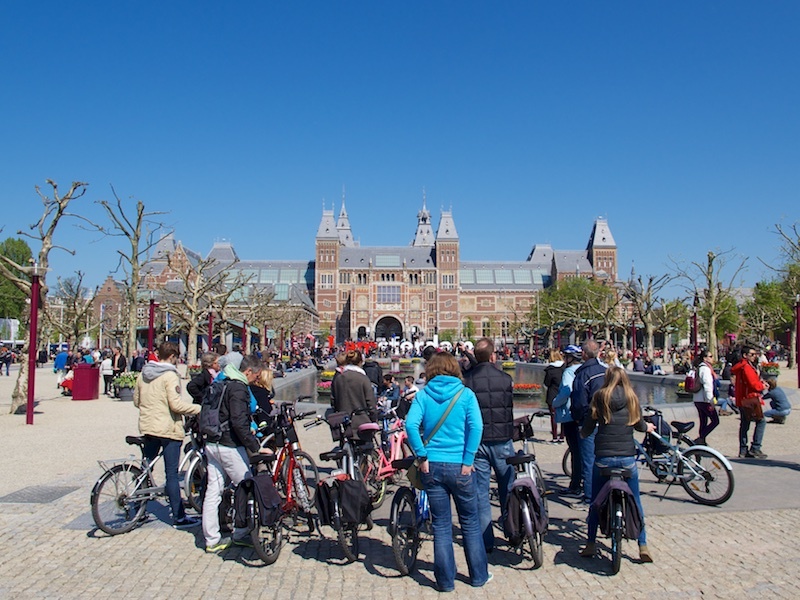 The Rijksmuseum hosted record attendance in 2014 with nearly 2.5 million visitors. The museum is open from 9A.M. – 5P.M. every day of the year. If you have an e-ticket, you do not have to go to the ticket counter. Please note that the busiest hours are between 11A.M.-2P.M. Plan your visit around these times to avoid the crowds. Otherwise, you may have to queue outside the museum, as entrance is capacity controlled. If visiting the museum doesn’t fit into your schedule, you should at least visit its gardens, which are free. Walking further along the adjacent Vondelpark, you will also find the Rembrandt House Museum, the Vincent van Gogh Museum and the Stedelijk Museum, with its collection of contemporary art. The same recommendation for advance ticket sales applies to these museums as well. 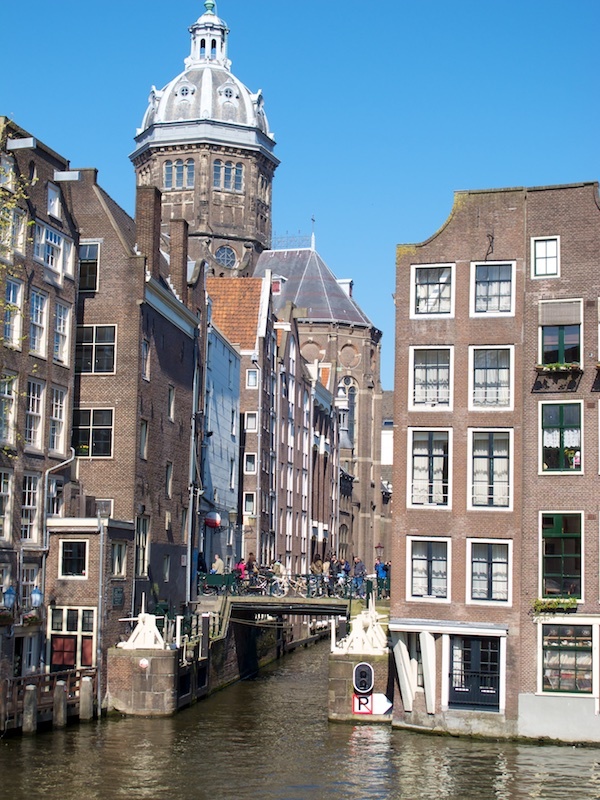 There are over 100 museums in Amsterdam, so you are sure to find something there that will delight you. Some would argue that spring is the most luxurious of the four seasons. It is hard to imagine a more magical location to enjoy the glory of springtime than in Amsterdam. Dave Beebe’s entry into travel photojournalism began over 40 years ago when he joined a camera club in high school shooting black and white images. It was the start of a long and exciting journey. He eventually moved into color photography and specialized on wildlife and nature. In the late 1980s, Dave added underwater photography and video to his toolbox. In 2001, he made the transition from film to digital and began a decade of producing images, videos and stories for respected outlets like National Geographic Television. Dave has been blessed with a lifetime of travel around the globe sharing images and encounters with wildlife above and below the water. More recently, he has focused on the people and cultures he encounters on his treks. With well over 50 international destinations in his portfolio, Dave and his wife Patricia are now focusing on exotic resort destinations that offer adventure and eco experiences for discerning yet exploratory travelers. You can see David’s portfolio of work at his website, b2gallery.com, or at his YouTube channel, b2photovideo.